Assam mourns ex-Indian Prime Minister Atal Bihari Vajpayee on Thursday. The nonagenarian ex-Prime Minister of India breathed his last at the All India Institute of Medical Science in New Delhi at 5.05 pm. As soon as the news of Vajpayee’s death spread social media were flooded with condolence messages from cross sections of Assamese society. 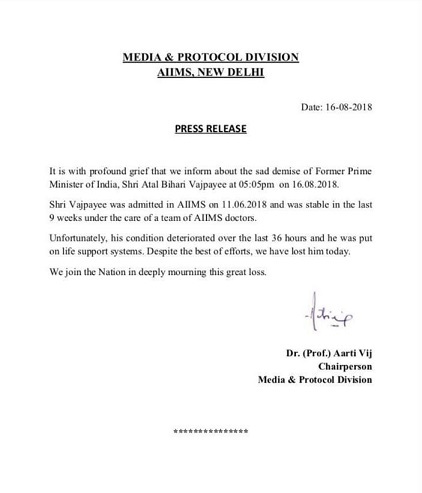 Vajpayee was admitted to AIIMS, New Delhi on June 11 and was stable in the last nine weeks under the care of a team of AIIMS doctors. The former PM’s condition deteriorated in the last 36 hours and he was put on life support system. As soon as the news of ex-PM Vajpayee’s demise spread condolence messages started pouring in the social media. Assam Chief Minister Sarbananda Sonowal also rushed to New Delhi on Thursday afternoon. Assam Governor Prof Jagdish Mukhi mourned the death of former Prime Minister Atal Behari Vajpayee on Thursday. 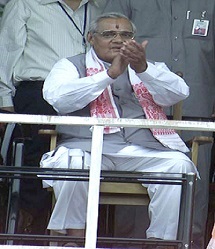 Prof Mukhi said, “The sagacity and leadership of the former Prime Minister at both the national and international levels has been a source of inspiration and guidance.” Atal Behari Vajpayee in 1977 as India’s foreign minister surprised one and all in the UN General Assembly by speaking in Hindi. The way he conveyed so much in so few words left the world dumbfounded. He spoke about Vasudhaiva Kutumbakam at that level and made the intentions of the country clear at the world forum. This speech made many people realize the importance of the native tongue and also placed an Indian Language on the political stage of the modern world for the first time. 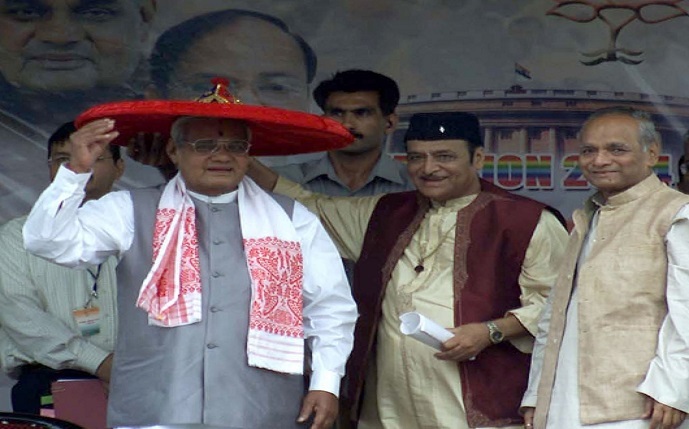 Assam Industries and Commerce Minister Chandra Mohan Patowary has deeply condoled the demise of former prime minister Atal Bihari Vajpayee.